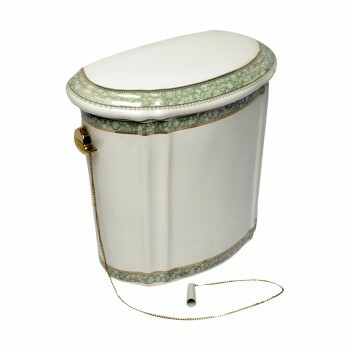 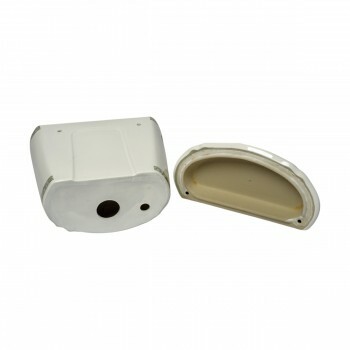 Toilet Tank ONLY: Toile Tank for L-pipe installation. 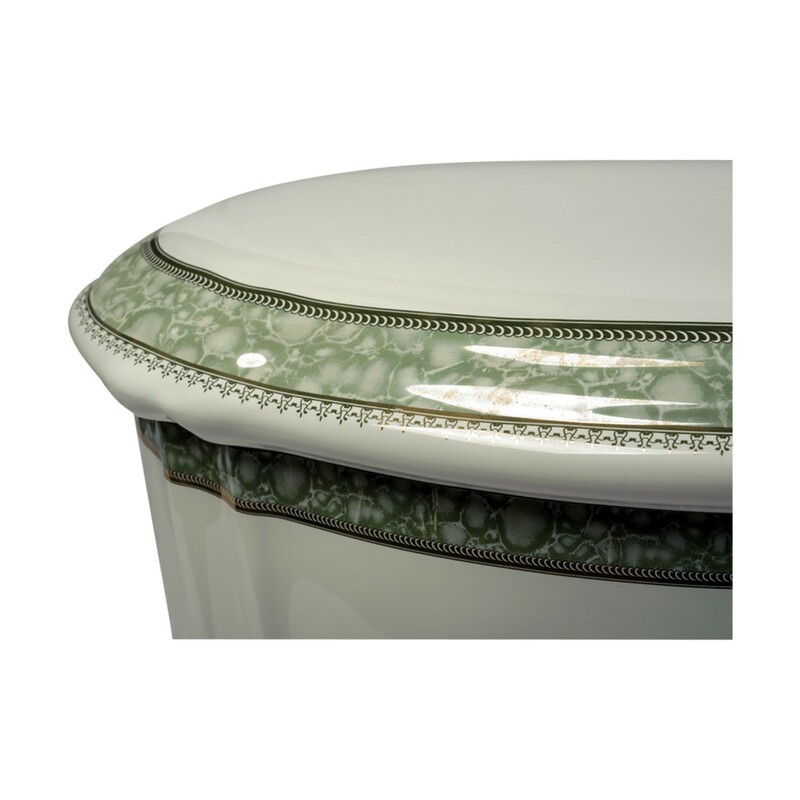 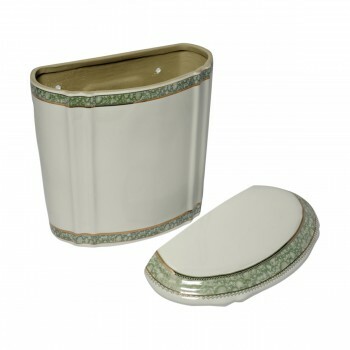 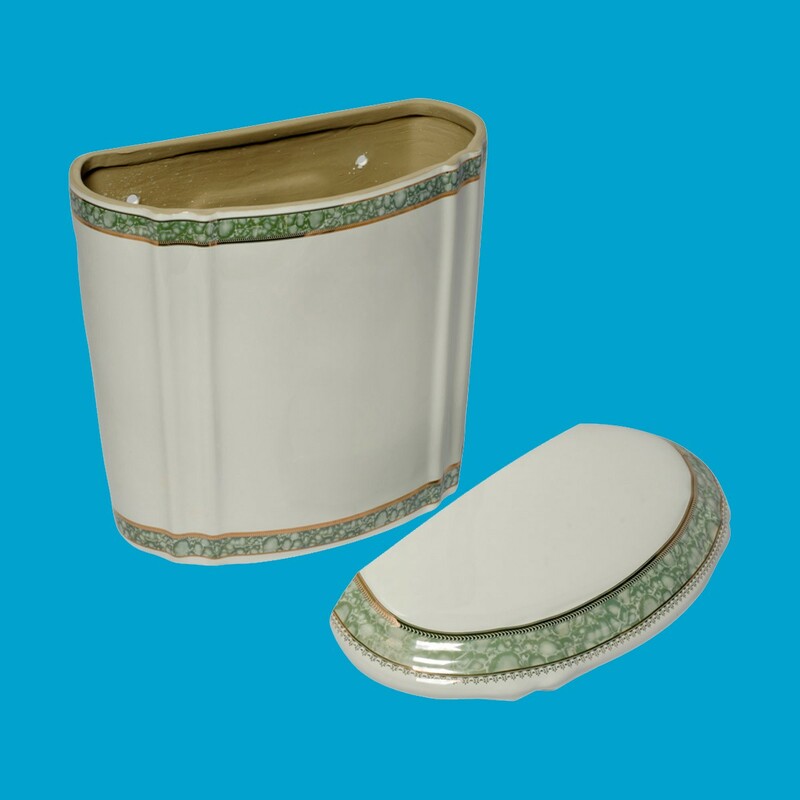 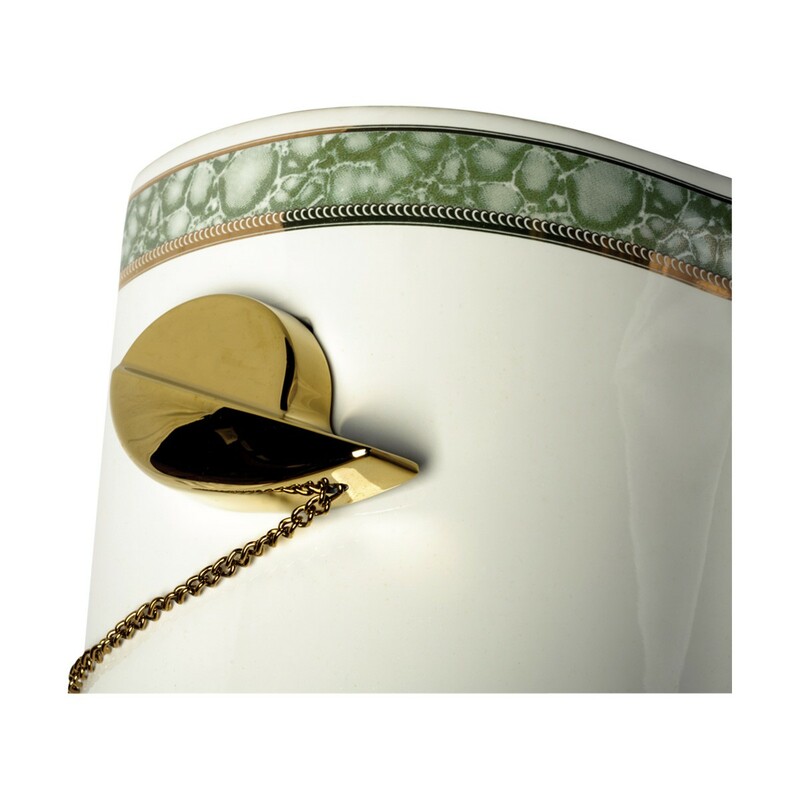 Sage Green on White with 24k gold accent trim. Water-saving 1.6 GPF. 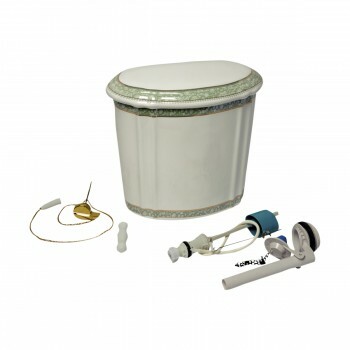 One time flush, quiet & efficient, gravity-activated, Toilet bowl, tubes and fittings sold separately.